This month, Sam realizes that he has feelings for Isha. Ira is jealous about this and her resentment increases. 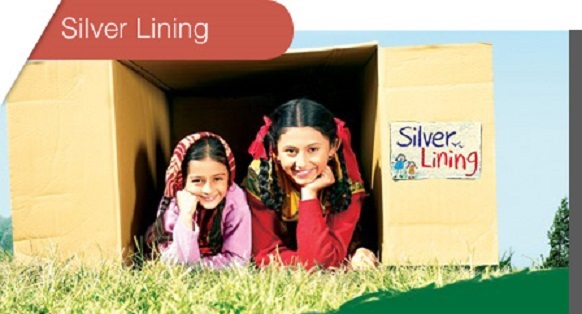 Revati is unhappy with the situation of things and she succeeds in causing distance between Sam and Isha on February Teasers Silver Lining 2019. January Teasers Silver Lining 2019. Isha discovers the real identity of the man she left with and realises her life is in danger. Ira intends on surprising Sam with a proposal. Isha and Sam finally get to Dharampur. Isha and Sam finally recognise each other and Isha enquires about Ira. Isha has to leave urgently to get back to Mumbai. Sam rejects Ira’s wedding proposal. Sam tries to make amends with Ira. Sam finds out the reason why his parents wanted him to get married. Indrani finds out that Ira and Isha know about each other. Sam and Girish sort out their differences. The identity of the man who threatens Revati is revealed. Sam gets jealous when he sees Isha with another man and realises he is in love with her. Ira sees Sam at a jewellery store. Isha receives a call from a distraught listener threatening to end his life. Samarth saves Isha’s life. Sam decides to tell Isha how he feels about her. Ira and Isha both read a note that is written by Sam. Tinu offers Revati an offer she can’t refuse. Girish rejects the offer they have received. Sam confesses his feeling to Isha and Ira witnesses it. Tinu goes to Revati’s house. Indrani finds out the girl that Sam proposed to. Indrani tells Isha that Ira has forgotten about her past and moved on. Isha finds out that Indrani will be at an event with Ira and goes there. Indrani asks that she is not let into the event. Isha ends her relationship with Sam after a confrontation with him. Revati is intent on finding out the identity of Palak. Ira decided to leave the country. Devki comes back from the hospital. Isha goes to Isha’s house to ask Ira for forgiveness but to no avail. Sam advises Isha to give up on her quest to ask for forgiveness. After being forgiven Isha assures Indrani that all she wants is a relationship with Ira. Isha asks Ira about her love and she lies about her relationship. Devki warns Ira about hurting Isha. Devki takes Isha’s proposal to the Ojha house. Ira organises for Isha to be robbed but she is rescued by a fan. Ira is disappointed when Isha doesn’t put on the sari and jewellery she bought. The priest tells everyone that Sam and Isha’s horoscope do not match. Isha decides that she wants to end her relationship with Sam. A gift is sent to Isha’s house but who could have sent it? Isha gets invited for lunch at the Ojha house and offers to cook for the family. Everything goes wrong and Sam shouts at Isha. Sam goes to convince Shravan to let him get married at the temple. Isha is shocked to see the kind of gift Samarth sent her. Sam is surprised at the type of clothing Isha wears to the dinner party. Shravan poses as an electrician at the Ojha house. Ira and Revati mess with the henna at the henna ceremony. Devki realises Revati is up to no good and warns her. Isha receives a message from Samarth. Sam sees Isha in a compromising situation and jumps to conclusion. Isha finds out that someone really close to her is behind the incident. Sam forbids Revati from attending his wedding to Isha. Isha decides that she will attend the wedding to make sure it happens. Sam shows up and everyone finds out that there has been a mix up. Sam ensure that he marries Isha. Sam tells Isha that even though they are married he has no feelings for her. Ira and Shravan find out that they will stay married for six months before they can get divorced. After much persuasion Ira goes to her in laws home. A ritual conducted in Revati’s home causes an even deeper rift between the sisters. Revati finds out the true state of Sam and Isha’s relationship. Isha prepares lunch for Samarth but Revati doesn’t take the lunch to him. Shravan is shocked by the sudden change in Ira’s behaviour. Ira and Shravan pretend to be happy with each other. It’s the fast for husbands and Isha assures Samarth she will be fasting for him. Ira and Shravan still continue with their pretence. Isha is about to break her fast when the police arrive at the house. Sam is accused of assault and Isha is bent on proving he is innocent. Isha goes missing on her way back home and everyone goes searching for her. Isha’s attitude changes completely. Isha is given responsibility of the house by Girish but Revati cannot bear it. Sam surprises Isha with tickets for their honeymoon. Ira tears up a passport but has she torn the right one? Revati and Ira think that Isha is possessed by a spirit and organise for the spirit to be removed. Isha informs Revati that she knows what happened at the orphanage. Daima overhears Revati’s threat. Daima makes plans for Revati’s secret to be revealed at the party. Sam has a bad feeling that something bad might happen to Isha. Revati confronts Isha and it leads to a fatality. Everyone goes frantic trying to find Isha. Ira decides to help Revati hide Isha’s body to save herself. Ira and Revati try to sneak out Isha’s body from the house. The search for Isha still continues. Devki suspects that Revati has kidnapped Isha. Revati frames Shravan for kidnapping Isha. Revati and Ira finally get rid of Isha’s body.